Judith Ann Karol McCoy, national bestselling author of ‘The Dog Walker Mystery’ series and other novels, died February 18, in Cape Charles, VA. Born and raised in Joliet, IL, Judi was the published author of 22 mystery and romance novels. Her first, “I Dream of You” won Waldenbooks 2002 award for best-selling new author. Her most recent series, the popular Dog Walker Mysteries, debuted in 2009 with “Hounding the Pavement”, all royalties from which Judi donated to the Best Friends Animal Society. Her 2010 novel “Death in Show” Dogwalker mystery won Romantic Times Most Humorous Mystery award. Her latest novel, “Fashion Faux-Paw,” will be published in March 2012. 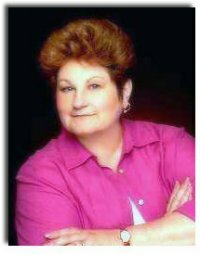 In addition to writing novels, Judi was a cornerstone of Crescent Moon Press, led many writing workshops for aspiring writers at national conferences and mentored numerous new authors. Judi judged women’s gymnastics for over 25 years in New Jersey, Texas, and Virginia, including five as the New Jersey State Judging Director. She spent many hours mentoring judges, gymnasts and coaches. Judi is survived by her husband of 44 years, Dennis McCoy; her beloved dogs Buckley, Belle, Sasha, and Polly; daughter Sara Hisel-McCoy of Takoma Park, MD and her husband, Elza, and their children Spencer and Parker; daughter Carey Santiago of Concord, NC and her husband, Nelson; sister Nancy Karol Doherty of Hillsborough, NJ; niece Claire Doherty Morgan and her husband, Jason of Vancouver, WA; and nephew John Doherty of Succasunna, NJ. A memorial service was held Wednesday, February 22, 2012 at 11:00 AM at the Wilkins-Doughty Funeral Home in Cape Charles. The family asks that in lieu of flowers, donations be made in Judi’s name to Tidewater Bichon Frise Rescue, P.O. Box 8084, Suffolk, VA 23438. While I didn’t know Judi personally, I love her books and “met” her on Facebook. She had been a coma due to complications from diabetes but just a few days before she died the doctors were still very optimistic about her recovery. I was very shocked to hear of her death but know she is in heaven probably with yorkiepoo Rudy, the star of the dog walker series, very close by. Her newest book is set to be released on March 6, it even has a preview of the book she planned next. She will be truly missed not only for her wonderful writing but for her charm, wit, inspiration and joy she brought to so many. Please keep her family, friends and her pawed children who she loved so much in your thoughts and prayers. Very sad to hear. My thoughts and prayers go out to her family. I started reading her books when I learned she was donating the proceeds to her Dog Walker series to a charity for animals. I liked her immediately! Sorry to hear about her passing.